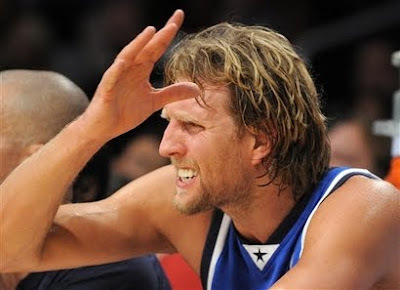 Dirk Nowitzki and the Dallas Mav's won this years NBA championships. 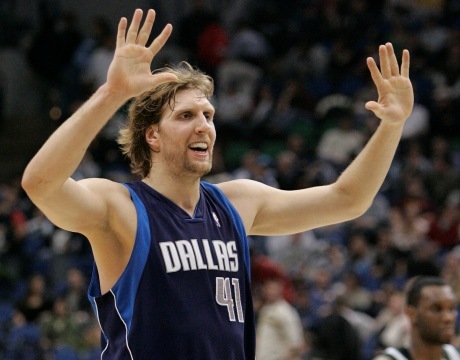 He is a veteran player, winning the finals was a VERY big deal for him because it might be one of his chances to win. Darn, the pics aren't that good. I'll look for some more. Upper mount of moon is well developed in right hand. combine it with long nails, squarish palm and independent index finger tells us he is a real strategist, he plan a lot and act Independently at the right moment. He might not be a good team player because of independent index finger. Second phalange of index finger is waisted showing he can bear all kind of hardship and can go to any length to achieve the goals, a true spirit for achievements. Mercury finger is squarish telling abrupt and blunt in communication. It look like he has double head line.